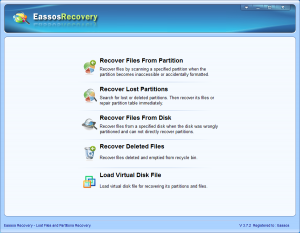 Hard Drive Recovery With Eassos Recovery—How Does It Work? Computers and laptops are extensively applied in all fields of life. The usage of computer keeps increasing these years and will continue increasing in the future, and people have to learn various skills to deal with issues that may happen to their PCs. Nobody is willing to spend bucks to hire a computer technician to solve system problem or hard drive problem if they can fix it on their own. Hard drive failure and accidental data loss are most common problem that users have to learn to handle. As to file loss situation, users are supposed to carry out hard drive recovery with data recovery software if they desire to get back all lost data and information. Easy and simple steps can save them from calling any technicians or recovery services. 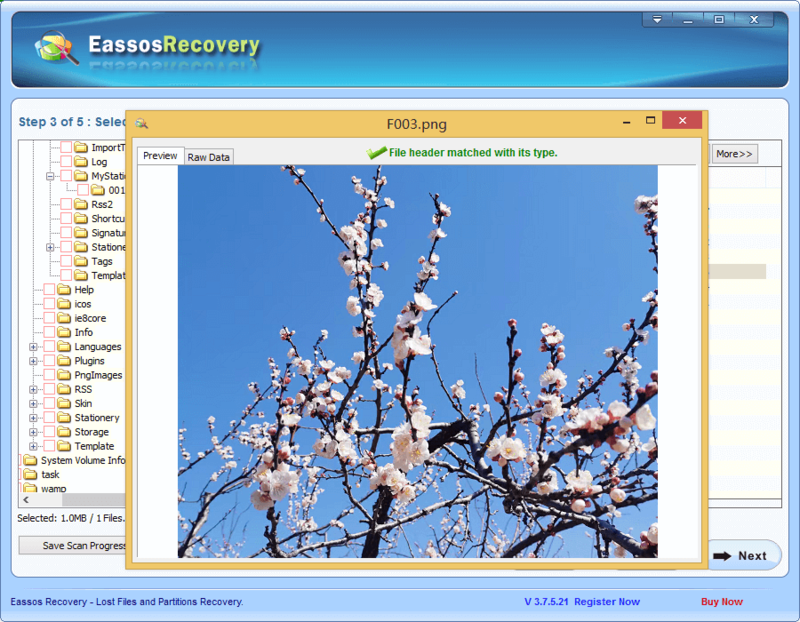 Eassos Recovery is a nice option for file recovery and partition recovery. It helps users to recover data when hard drive failure occurs and get data easily. It offers the most effective solution to all brands of hard drives and USB drives. It is competent in recovering data from complex situations and corrupted disks. 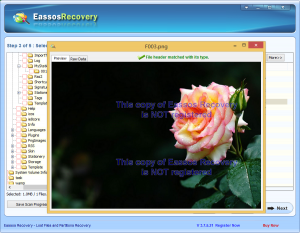 Eassos Recovery has a free version which allows uses to recover 1 GB data for free. Step 1. 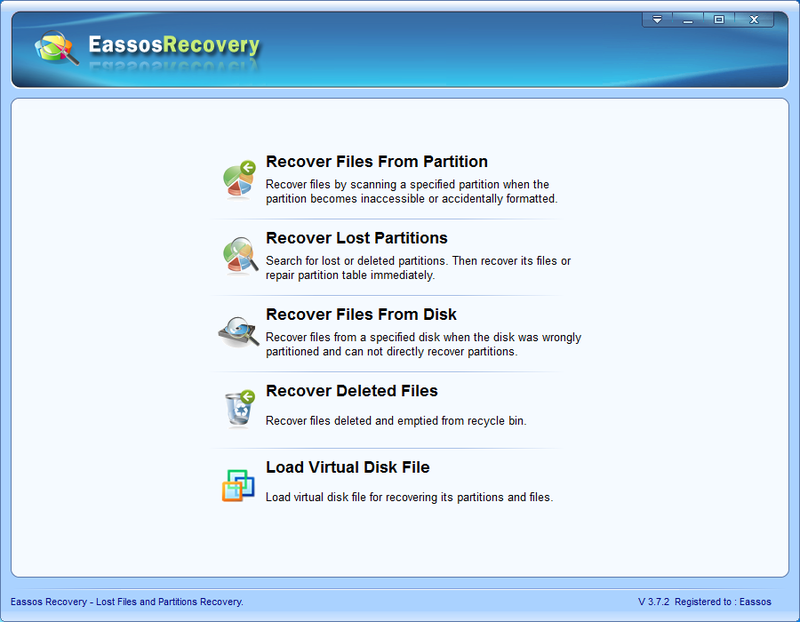 Connect the corrupted hard drive to a healthy Windows computer, and then launch Eassos Recovery to get its main interface as below. 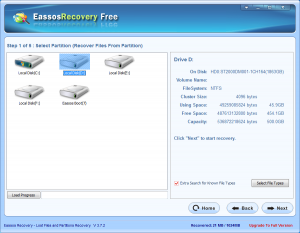 Select proper recovery function according to data loss situation. Step 2. Select partition or hard drive that needs recovering data and click “Next” button to start file scanning process. File scanning may need a long time if the hard drive being scanned has large capacity, or it is connected to computer via USB port. What you need to do is waiting until this process finishes. Step 3. The program will list all recoverable files after all scanning process is done, and you can preview files and copy files out. 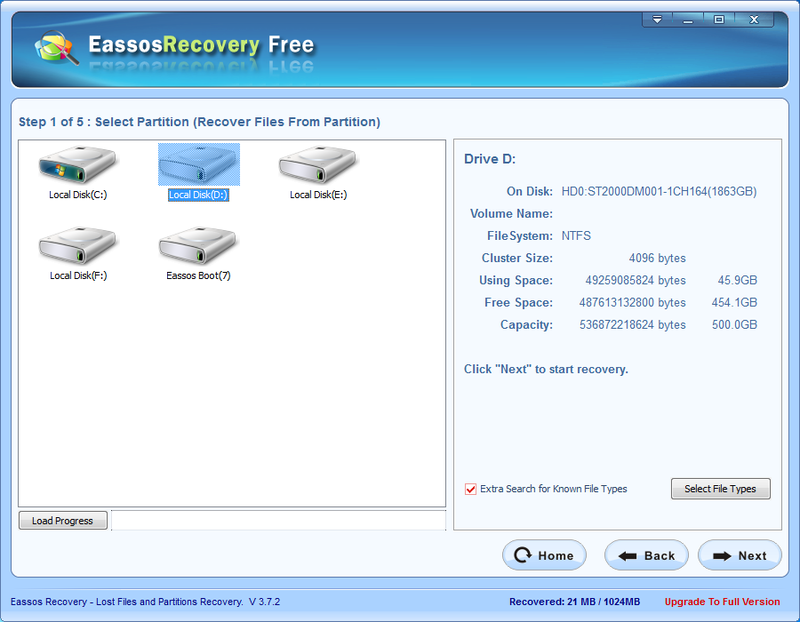 This entry was posted in Data Recovery and tagged eassos hard drive data recovery, hard drive recovery by EASSOS. Bookmark the permalink.